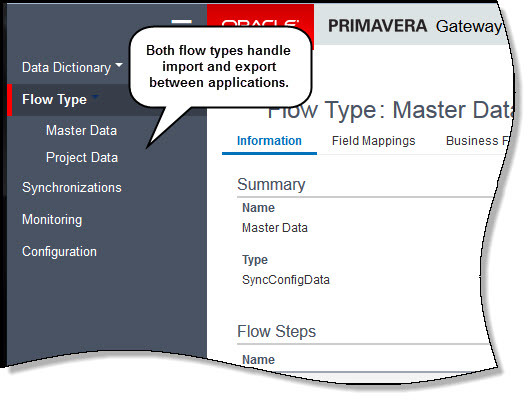 Primavera Gateway 15.2 supports two flow types: Master Data and Project Data. The other flow types have been removed making it simpler and easier to integrate data. Master Data: Define global-level data that is exported/imported between two different applications (for example, from P6 to Prime) or between two different deployments of the same application. Project Data: Define project-level data that is exported/imported between two different applications or between two different deployments of the same application. GatewayAdminNoDataAccess: Perform all actions in Gateway except view or download log files in each flow step when monitoring a synchronization job. 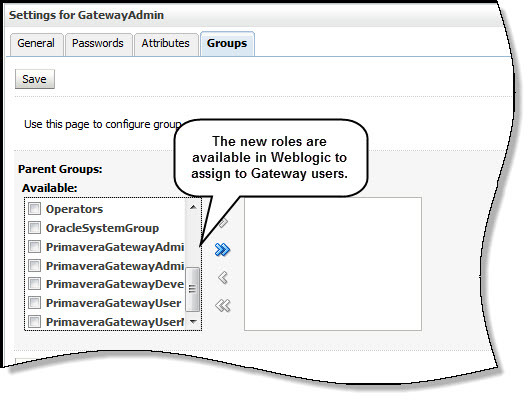 GatewayUserNoDataAccess: Synchronize and monitor jobs in Gateway but cannot view or download log files of a synchronization job from the Job Details page. Both roles can view errors and warning messages associated with each step. 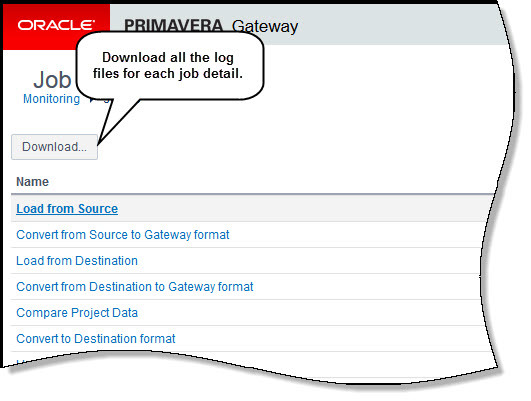 Primavera Gateway 15.2 enables synchronizations to be triggered based on defined P6 events. 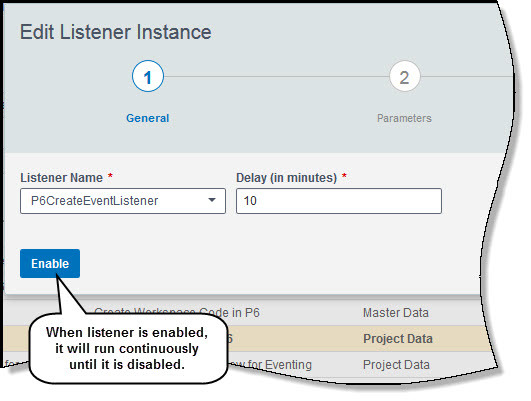 The P6 event provider is associated with the following types of P6 event listeners in Primavera Gateway: P6UpdateEventListener and P6CreateEventListener. In Gateway 15.2, define custom field-mapping templates by mapping more than one provider business object to a single Gateway business object. When defining field-mapping templates, use auto suggest and auto generate field mappings for those fields that are identical to the provider business object and Gateway business objects. In Primavera Gateway 15.2, you can download log files corresponding to a synchronization job in one zip file. This makes it easier to get all the log files at once instead of going into each job detail to download the log file. 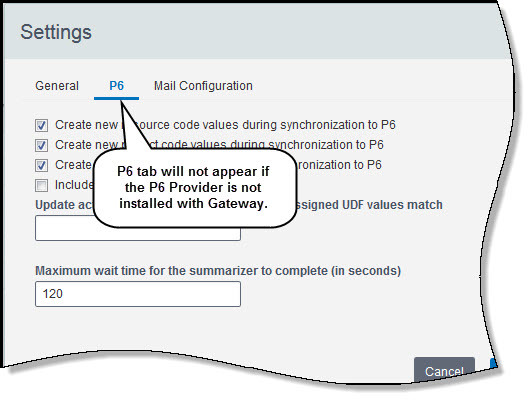 In Primavera Gateway 15.2, the P6 provider is no longer required to be installed with P6. The P6 tab displays on the Settings page only if you chose to install the P6 provider at installation. 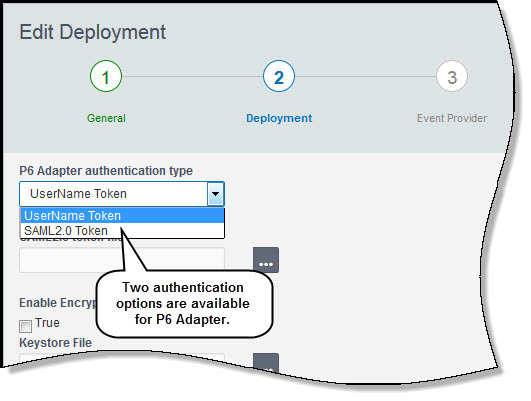 In Primavera Gateway 15.2, the P6 adapter supports SAML 2.0 Authentication and P6 deployments can be configured to use SAML 2.0 Authentication.